Bluebell Bus – Doesn’t she look great! A VERY special day! Bluebell Bus graphics are now finished! We’re all delighted with the results, she looks AMAZING! 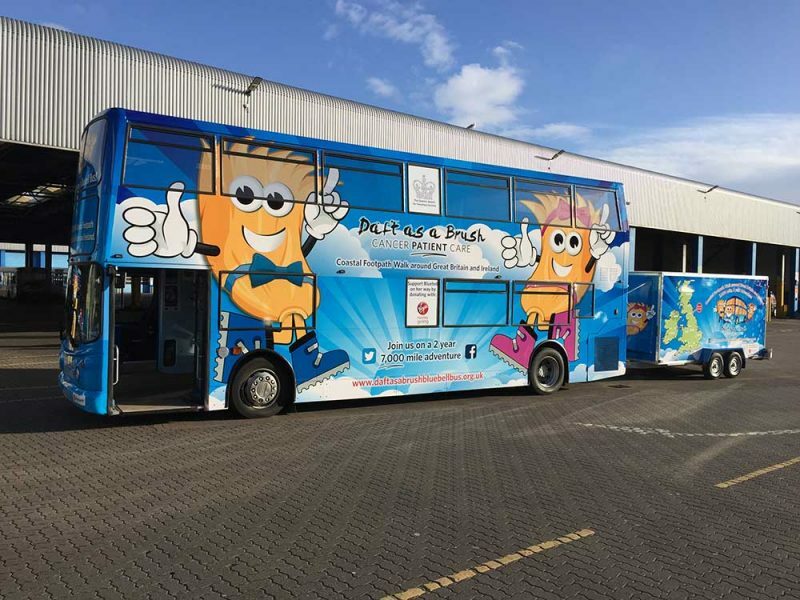 Enormous thanks to fantastic team at Screen Services (Pelaw) for all their hard work printing and applying the vinyl graphics, Dave Harrison for the brilliant graphic design and to all our amazing friends at Stagecoach Bus. Don’t forget – The 7,000 mile walk starts 5th March 2018 – Not long to go!!! – Hope to see you at the Millennium Bridge, newcastle from 10am 5th March!